While raging firestorms are ravaging California communities, police are split between evacuation efforts and investigating reports of looting in neighborhoods that were evacuated. Redding Police Chief Roger Moore confirmed reports of looters driving around evacuated neighborhoods and breaking into the homes that were left standing. So far Moore's department has made no arrests in the looting investigations. Due to the growing threat of looting, Shasta County Sheriff Tom Bosenko says officials are ramping up security in areas where there were mandatory evacuations. Sheriff Bosenko added that over 100 police officers and 260 National Guard are helping to evacuate residents and provide protection once neighborhoods are evacuated. Almost 40,000 people have been forced to leave since Monday, and the death toll has risen to five, three civilians and two firefighters. Of the civilian casualties, Sherry Bledsoe says her grandmother Melody Bledsoe, 70, and her two children James Roberts, 5, and Emily Roberts, 4, were killed in the wildfire near Redding. At least some of the fires have been attributed to a 32-year-old arsonist named Brandon McGlover who started fires Wednesday in Idyllwild, Anza, and Sage. 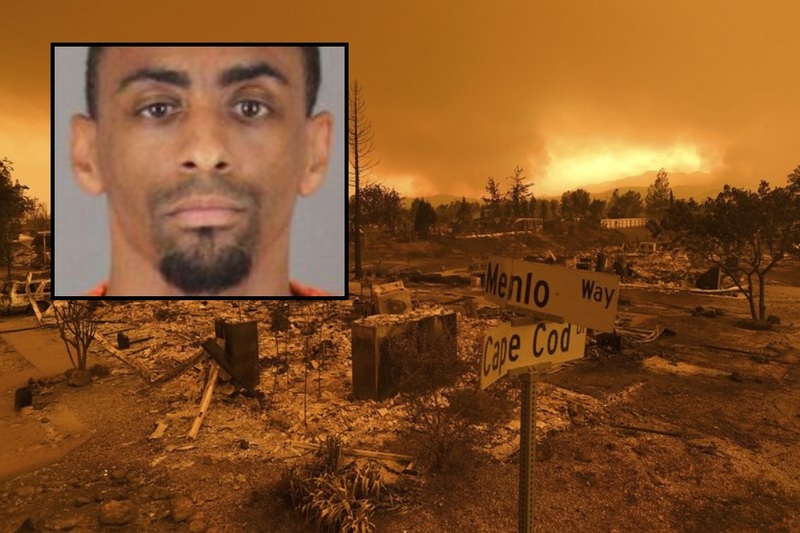 The fires started by McGlover accounted for at least 6,000 evacuations, and he has been charged with 15 felony counts that carry a potential life sentence. As of 5:20 p.m., police say they have made at least one arrest for looting in Northern California neighborhoods where residents were forced to evacuate. Shasta County Sheriff Tom Bosenko told residents at a community meeting Saturday evening that police caught a parolee and he had been taken into custody. The residents of the community cheered at the news and then cheered again when Bosenko mentioned his officers had leads on more suspects.